One of the things lost in modern witchcraft is a thorough connection with earth and nature. Many witched are making a return to traditional uses of witchcraft and are including homegrown herbs and homemade oils more and more. If you have you own with garden and would like to bless it, try the following spell. 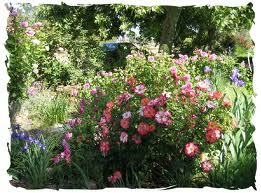 After you scared garden is blessed you may use it for any nature, sun or lunar rituals you endeavor. This spell is best done on a Sunday night during the waxing phase of the moon. You may want to add a cleansing ritual before you do this spell. This spell is to bless and protect you magickal garden and to prepare it as an outside altar for other magickal or nature based workings. Bless, charge and consecrate each of the items. Cast your circle as you normally would and place the items on the ground the direction that corresponds to each element. ADVERTISEMENT:Make Every Spell Work! Free 15 minute Video! Sit down in the center of your circle. Place a drop of the blessing oil in each hand and rub them together to gather energy. Build the energies into your hands and when you are ready and your hands are filled with energy place them palm down onto the earth and say: So mote it be. Stand and do a complete 360 turn three times to seal in the energy. You should take a pinch of dirt from you garden and place it onto your altar. A lot of modern witches don’t have the privilege or having a herbal garden or an outside place to conduct spell castings and outside rituals. If you don’t have an outside area don’t be saddened or discouraged lots of witches don’t have and outside area for magick until they by a home later in life. It is not mandatory for magick but if you are serious about exploring witchcraft a green thumb can go a long way in expanding your witchcraft herbal knowledge base.